European Commissioner for Energy Günther Oettinger has said the EU-mediated gas deal struck on Thursday between Ukraine and Russia is not only a solution to the gas dispute, but also a step towards the de-escalation of the conflict between the two states, a European Commission press release reads. 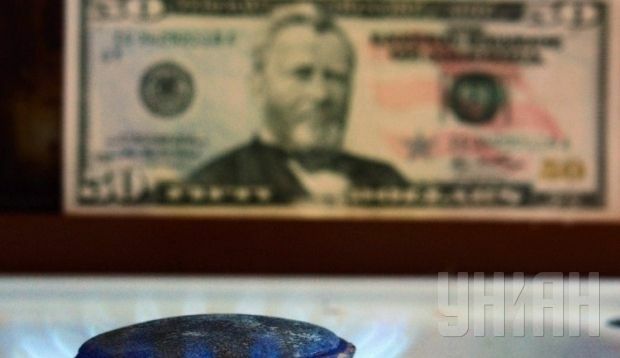 Before the end of the year Ukraine will pay Russia $4.6 billion, including debts for fuel delivered in previous periods amounting to $3.1 billion, and another $1.5 billion as an advance payment for the four billion cubic meters of gas to be supplied by the end of 2014. "After seven rounds of negotiations, the parties, mediated by the European Commissioner Günther Oettinger, agreed to implement a package of agreements worth a total of $4.6 billion and to ensure uninterrupted gas supplies to Ukraine and Europe," the commission said in its press release. Ex-President of the European Commission Jose Manuel Barroso, commenting on the agreement, said that “economic logic won out” during the talks. "I was delighted that the completion of my term as a president of the European Commission was marked by such success, and the completion of negotiations between Ukraine and Russia with the support of the European Union,” Barroso said, according to the press release. “I was glad that political responsibility and economic logic had won out in the resolution of the debt dispute and [resulted in] an interim agreement on gas supplies in winter."